At the break of dawn, we were prepared to leave the comforts of our bed. Wrapped in layers of clothes, thick jackets, bonnets, gloves and closed shoes (no tsinelas), the below zero temperature pleased us. It is the kind of weather I have been waiting for sans the snow. The misty morning is never annoying. Picked-up by a van at our hotel, we were bound to witness an architectural wonder – on a not so touristy section of the Great Wall of China. Our destination for the day is the longest fully-restored section of Mutianyu. 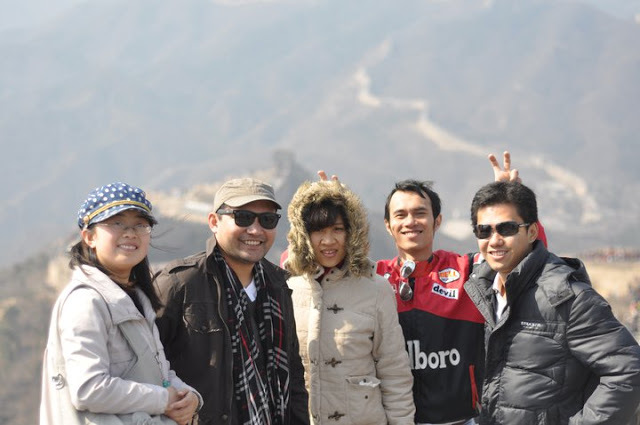 Spring of 2012, we stayed at a youth hostel and there were offers of organized tours to the Great Wall of China. For time constraints (so we thought), we opted for the most tourist-friendly and accessible Badaling section of the Great Wall. In our group of six, with four Vietnamese and us Filipinos, my friend and I paid only half of their fees, maybe because they stayed in a 5-star hotel while us in a hostel. At that time, I generalized that rates depend on the type of accommodations. 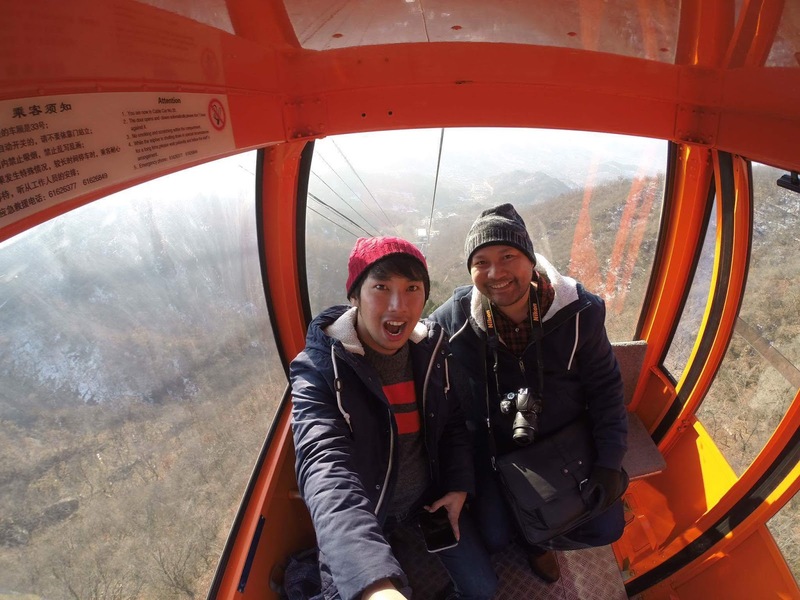 Winter of 2015, while on a coaster enroute to Mutianyu Great Wall, I overheard the Europeans converse soliciting information from each other as to the amount of fees paid and they all answered the same. Rates must have been standardized. For 280RMB (approximately PhP2, 000.00), the tour includes both breakfast and lunch meals but surprisingly water is not included. It is advisable to purchase a liter at a nearby convenience store since rates are high at restaurants within the vicinity of the Great Wall. Though travelers can actually commute going to the Great Wall, the inevitable hassle is attached to it not to mention the communication barrier it poses. Joining a private tour is still the most practical way to visit the Great Wall of whatever section it is. The Mutianyu Great Wall is in Huairou Country, 73 km north of Central Beijing and is of a maximum of two-hour drive. 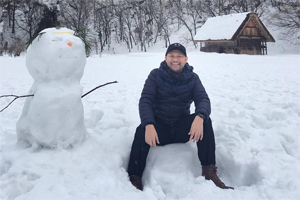 As we passed through snow-capped mountains, I began to feel the excitement - of wandering around the walls of Chinese ancient civilization. As soon as we arrived at the foot of the mountain where registration of visitors is done, an orientation followed from our guide as to the history and of course the passable routes of the wall. Entry tickets are arranged by the guide and it lessens the hassle of queuing. There are three ways to do the ascent and descent at the Great Wall of Mutianyu. 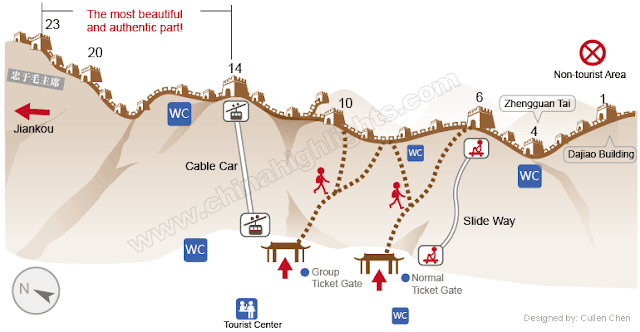 These are: the hike, which takes hours to climb the more than 4,000 steps; through the toboggan, for those who really wanted to trek miles for the experience and single-rider toboggans are available for descent from the east end of the wall to the valley; and of course, the tourist friendly, cable car. For an additional fee of 100RMB for round trip (approximately 700 pesos), we took the cable car without any second thoughts. The cable car will drop-off the visitors at tower 14, which is noted to provide the most beautiful scenery in this wall. The walk from tower 14 to the peak of tower 23 is a walk in the park. The watchtowers are densely spaced and a good vantage for photography apart from serving as rest areas. On an ascending mountain ridge, there is a watchtower on very hundred meters. Since the Mutianyu Wall is surrounded by woods covering almost ninety percent of the area, the natural scenery while we rest at times is indeed breathtaking. It turns green during summer, red in autumn and on our visit, it may look dull but charmed by the snow that surrounds the forest and even the sides of the wall. The Mutianyu Great Wall is dubbed as “the Grand Pass on the Precipitous Ridge” because it was a military stronghold in the ancient times. With this masterpiece, I am but privileged to have been given the chance to visit again the Great Wall of China on another section of the wall. This time with less tourists and a more breathtaking natural landscape.